During this webinar, you learn about who is actually reading your script and why it matters for you to understand who that reader is. Gain a deeper understanding of why your logline is so important and how to teach everyone who reads your script to sell it for you. Learn how to engage anyone who reads your script to become part of the mechanism to get your film made. 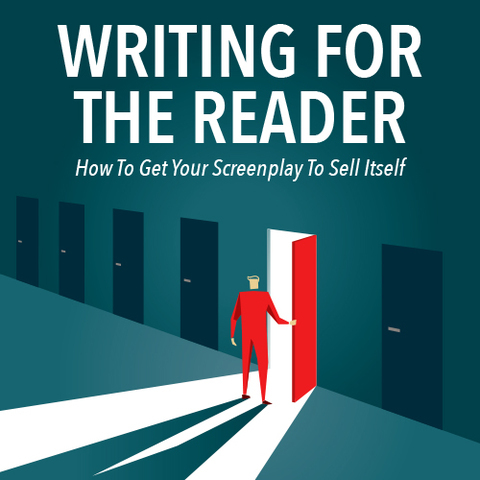 Why can some screenwriters make a huge sale on their first script and keep selling while other equally talented screenwriters who have difficulty getting their scripts even read? Your scripts face many barriers before they get in the hands of a person who can green light it. This webinar will help you gain insight on what will get a script read and then championed from the inside. Learn how your script is more than just a blueprint for a film to get made—it also functions as a sales tool! Mike Sargent is rare in that he is a filmmaker who became a nationally quoted film critic. In the last 15 years, during his time ‘on the other side’ his experience of being ‘under cover’ as a filmmaker among film critics has has given him a much deeper understanding of how the industry works from top to bottom (or farm to table as it were) in regards to selling your movie and what to keep in mind from the time you conceive of your script to the time it's going to be read, sold, produced, marketed, and packaged to the media who ultimately will be helping sell it to the general public. The importance and true role of a logline within the ‘studio system,’ agency, or production company. How to improve readers’ experience of your script and make your script stand out from the rest. How to develop your brand and your voice. How are you can make your script talk to directly the reader. How to create a deeper engagement with your characters and storylines. How to get others to sell your script for you. How to literally create a must read screenplay. How your logline can make everybody’s job easier. How to do your homework about the industry before you submit your script. The two stages of success for any artist. Screenwriters who have been unable to get past a certain point with getting their scripts read. Beginning and intermediate screenwriters who want to know some screenplay hacks to get their screenplays to stand out from the pile. Any screenwriter who wants to create a better reading experience for their scripts. Advanced screenwriters who have the craft down but have been yet unable to make a sale. 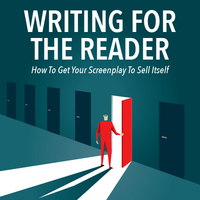 Screenwriters who want to have a deeper understanding of how the movie business works. Screenwriters who are open to practical aspects of being a screenwriter that they don't teach you in writing classes. Screenwriters who want a competitive edge. Screenwriters who know how to write but not how to sell. Screenwriters who have come close and gotten interest but never cross the finish line. Screenwriters who think the logline is just for your pitch.